Saku Boutique Homestay - Hang Dong, Chiang Mai, Thailand - Great discounted rates! 8.8 out of 10 based on 35 verified user reviews via Agoda. Set in a prime location of Chiang Mai, Saku Boutique Homestay puts everything the city has to offer just outside your doorstep. The hotel has everything you need for a comfortable stay. Free Wi-Fi in all rooms, Wi-Fi in public areas, car park, room service, airport transfer are there for guest's enjoyment. All rooms are designed and decorated to make guests feel right at home, and some rooms come with television LCD plasma screen, internet access Â?Ã?Ã? wireless, internet access Â?Ã?Ã? wireless (complimentary), non smoking rooms, air conditioning. Take a break from a long day and make use of outdoor pool, massage, pool (kids), garden. Convenience and comfort makes Saku Boutique Homestay the perfect choice for your stay in Chiang Mai. Guests are required to provide flight details in order to arrange for the pick-up service. 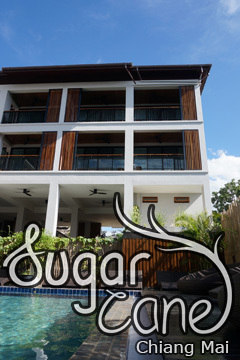 Saku Boutique Homestay - Chiang Mai classifies itself as a 3 star hotel.